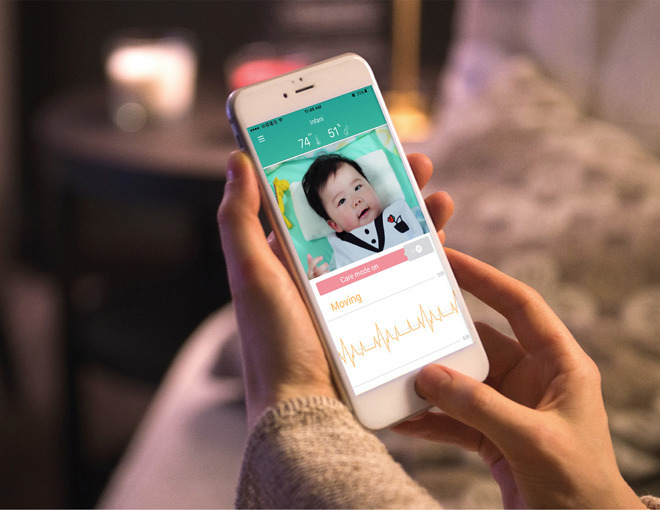 The field of iOS-connected baby health products remains somewhat small, but every once in a while there are products that are very interesting. 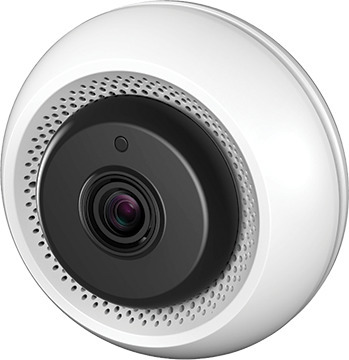 Infani's smart baby monitor is one of these. In the really old days there were no baby monitors. Parents would put their children down and hope to be in earshot if a child cried, or notice if the child was too quiet. It wasn't very reliable. Then, parents got low powered radio monitors, so a parent could hear the child without being in earshot. Over time, we saw products that added video and monitors with tiny LCDs, but the state of the art didn't really change for a long time. 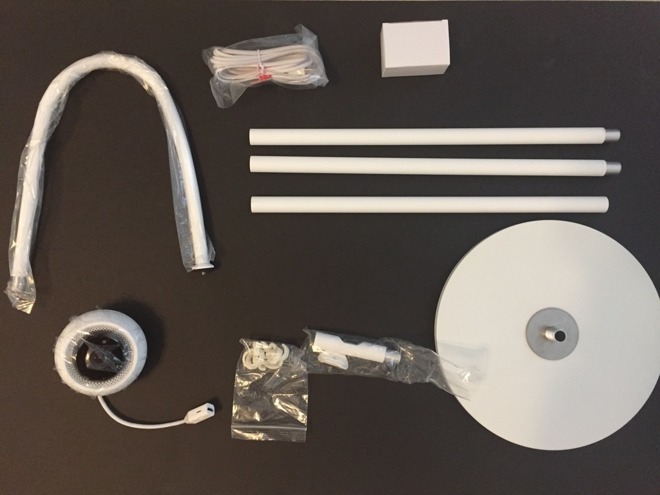 Infani combines a bunch of different technologies into one product. It's a camera. It's got temperature and humidity sensors, speakers, and a built in video processor. It's got doppler freakin' radar. Why would you want a video processor and doppler radar in a baby monitor? There are some very cool things you can do as a paranoid parent when you have a video processor that can monitor movement, and a doppler radar can detect the rise and fall of respiration. 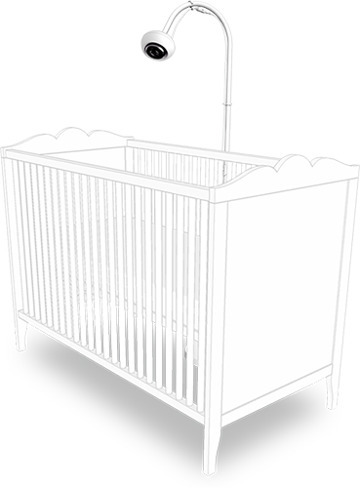 The stand is relatively easy to assemble, but new parents will have to break the age-old stereotype and read the instructions. It consists of a base, three long tubes, two of which are identical. 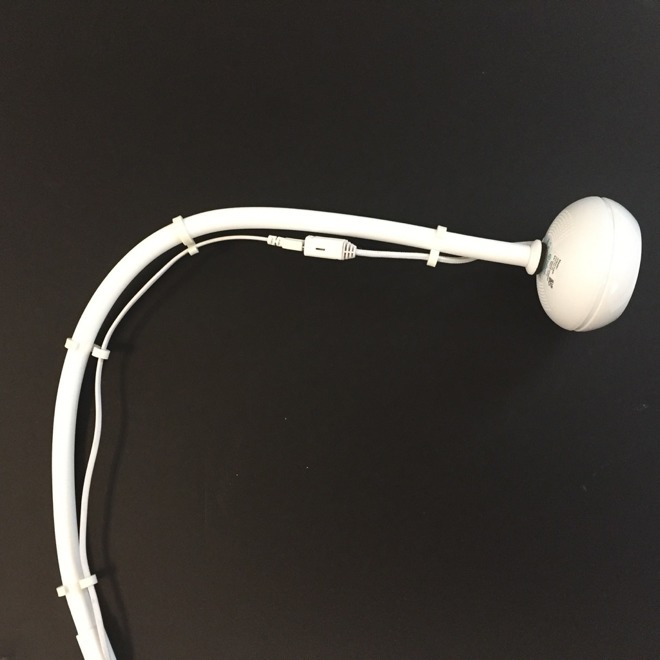 It's important to assemble them in the right order, thread the micro-USB cable through them, and then use one of the plastic hooks to pull the cable through a side cut in one of the short tubes, so that the cable is mostly protected, and only exposed from the base to the wall power adapter and the short length from top of the tube down to the camera at the end of the flex shaft. 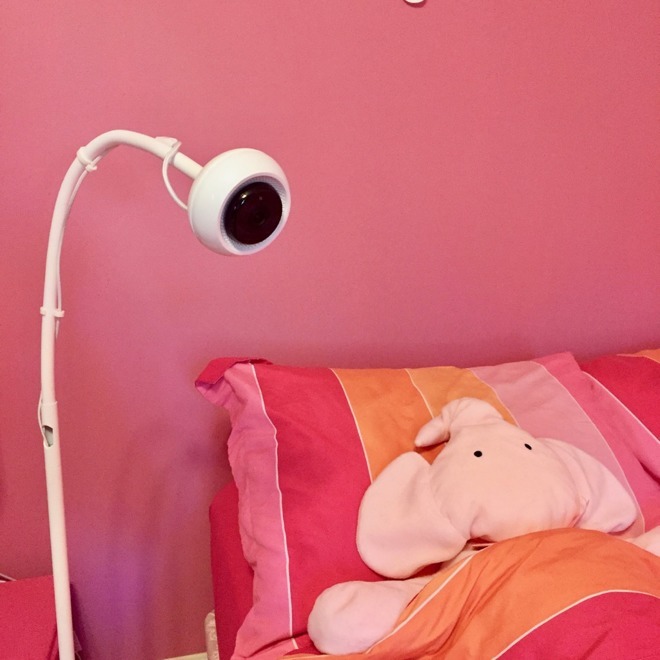 If your child is older and sleeps in a bed lower to the ground, it's possible to remove one of the tubes from the stand to get the camera close enough to the child. The ideal distance seems to be about 1.5 feet to 2 feet, with no moving objects within a 5 foot radius. That might make it difficult to have mobiles above a crib. The stand has a solid wide base, and is very stable. One of the problems of putting a camera in a nursery is mounting it. Infani's stand solves this without a whole of lot drama, unlike competing video solutions that use wall-mounting, magnets, or require recharging of a battery in a camera unit. 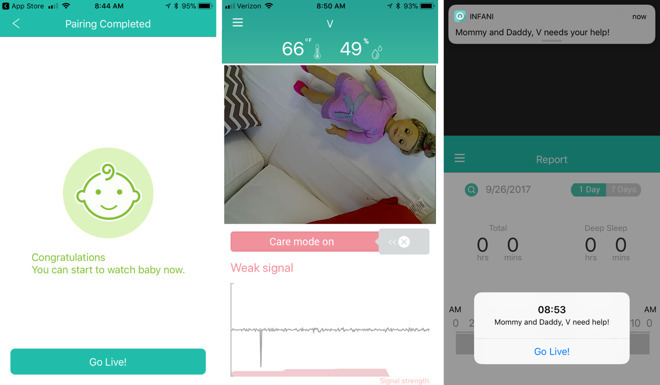 Infani isn't the first baby monitor to combine a camera with doppler radar, but it does one of the best jobs of making it useful and easy to comprehend, with smart warning notifications. One of the nice features of the camera is that it does more than just display live video. It saves video encrypted in the cloud, and it's possible to review it for 7 days, playback, and download to your photo library to keep it. 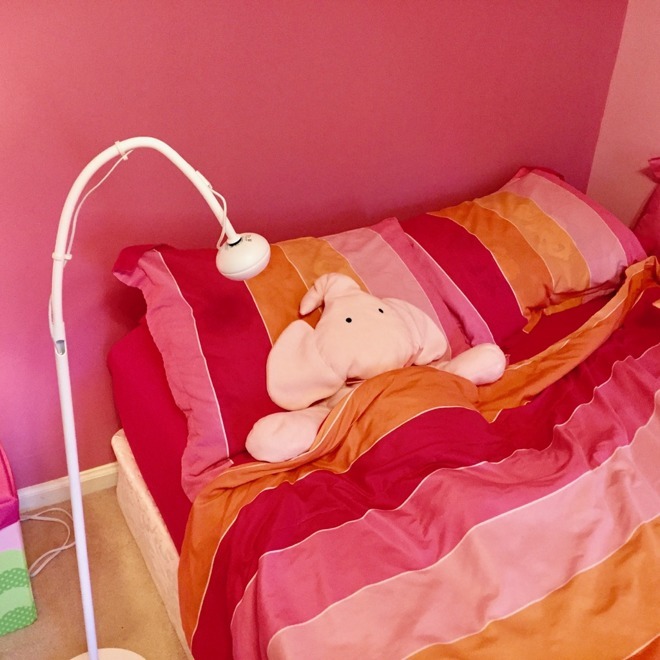 This is a nice feature for new parents, although there's probably no shortage of videos, but if you do have a concern about how your child sleeps, this is a good way to have a record of it. 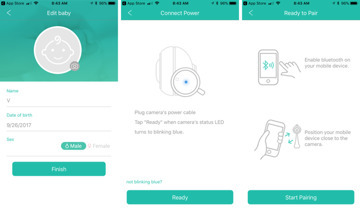 The app places emphasis on the camera and audio feedback, showing them in the top half of the screen. The temperature and humidity are right at the top of the screen. The bottom half of the screen shows the raw movement data, the background color of it shows signal strength, and the word above the movement data will show breath rate. If the child is moving, it will show "Moving." "No movement" can also show, which we proved by placing a doll in front of the camera. 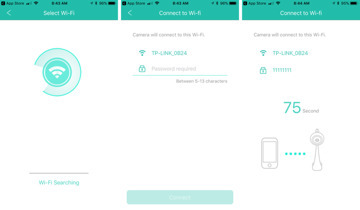 The app uses Bluetooth Low Energy to find the camera, and then the initial setup steps get the camera on to your in-home Wi-Fi network using 802.11b/g/n signals on the 2.4GHz band. There's a slide-to-the-right "Care mode" control. When Care Mode is enabled, you receive notifications and alerts if no movement is detected or breathing stops for some reason. Clearly, the doll doesn't breathe. The camera has IR LEDs which make it work well in the dark. 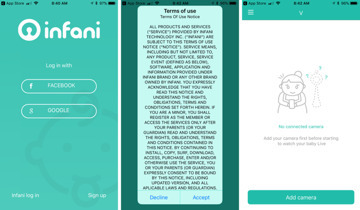 Infani will automatically switch to night mode. The night vision mode works so well that the camera picture is nearly indistinguishable from the image with the room lights on. The colors remain accurate. Essentially, this is the baby monitor for satisfying almost all of the needs of a worrying parent. It won't help prevent SIDS (it isn't a medical device), but if you're the sort of parent who needs to be reassured that the baby is alright, Infani is a comprehensive way of doing it. If there's any thing to criticize at all, it's that the app takes a few seconds to reconnect to the camera any time you switch away and switch back to the app. 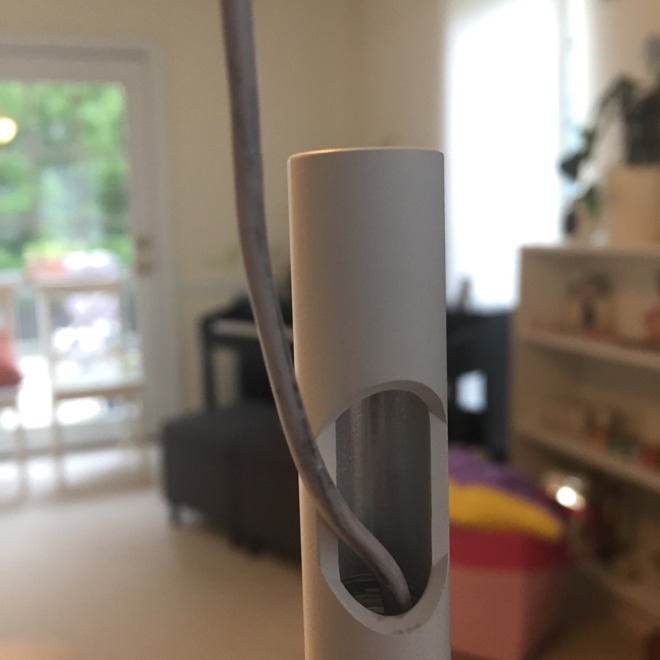 Also, after threading the USB cable through the tubes, the interior of the tubes leaves a gray shmutz on the cable. The price isn't low, but new parents are really stressed, and run to check their baby a hundred times a minute to make sure that they're breathing, comfortable, and that everything is okay. Infani covers all the concerns of the new parent, and is leap years ahead of the radio-style monitors we had years ago. The Infani Smart Baby Monitor is available now for pre-order from kickstarter.com. The pledge price is $259 with delivery promised in November 2017.